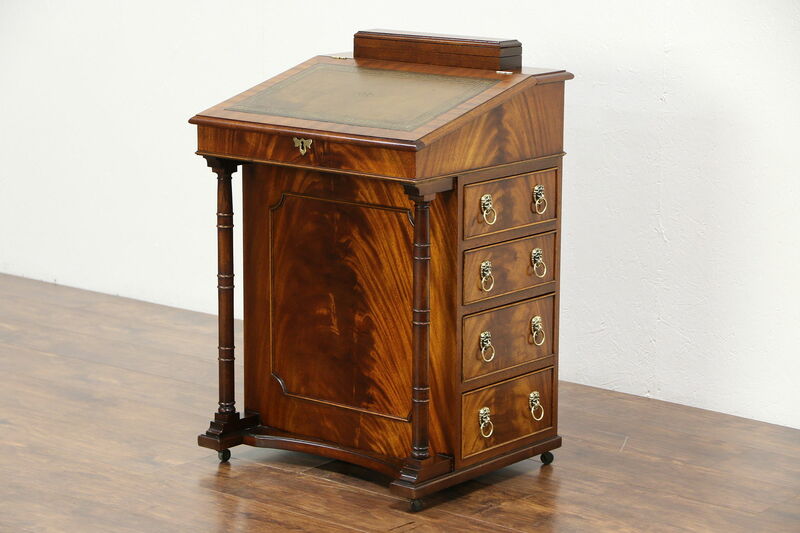 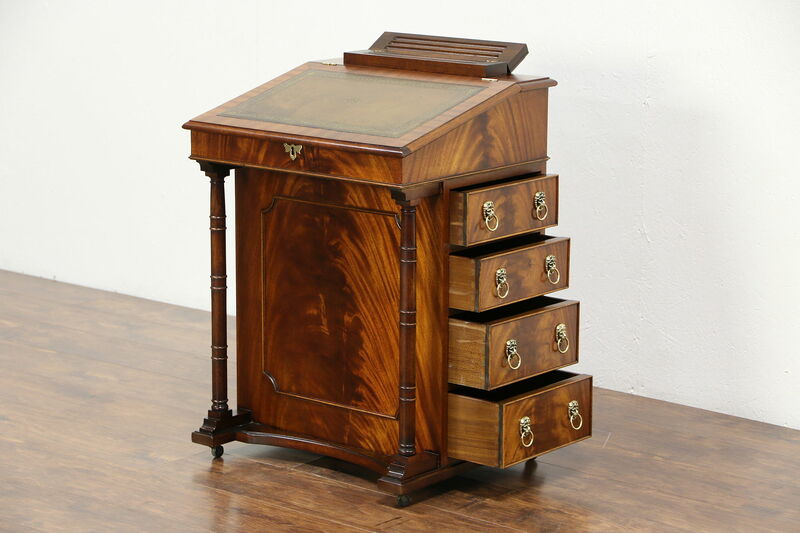 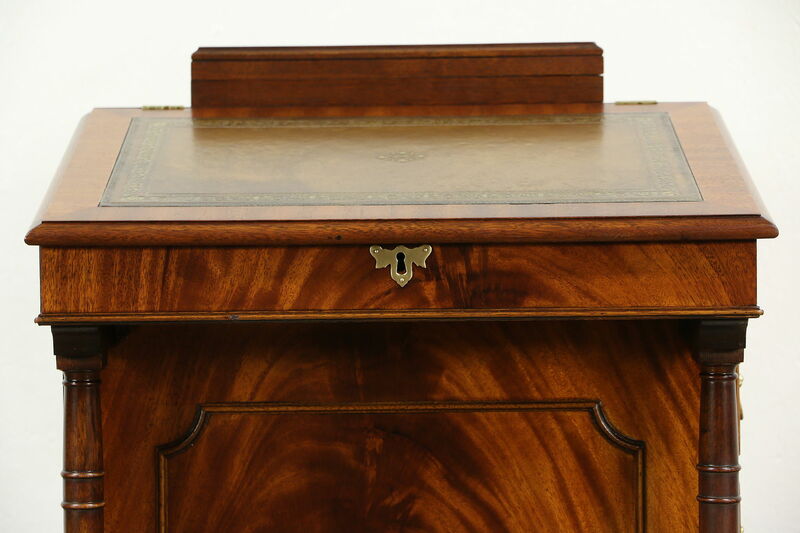 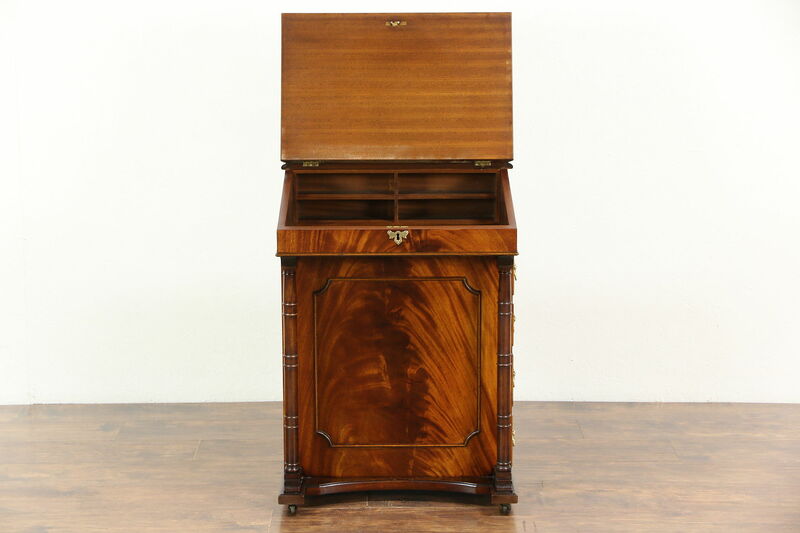 A traditional "Davenport" or ship captain's desk is signed "Reprodux, Made by Brian Funnell, Ltd., New Haven, England, the Queen's Award for Industry, 1970." 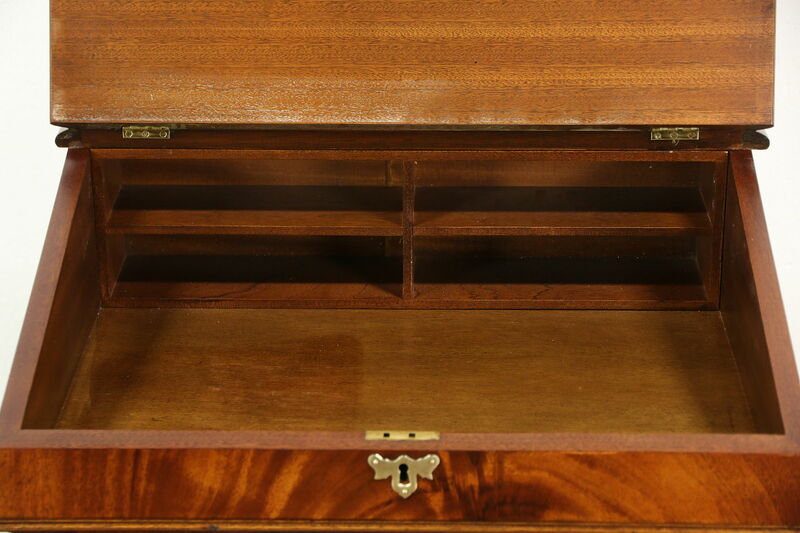 Invented by a Col. Davenport, they were popular on cramped ships because of their efficient use of space. 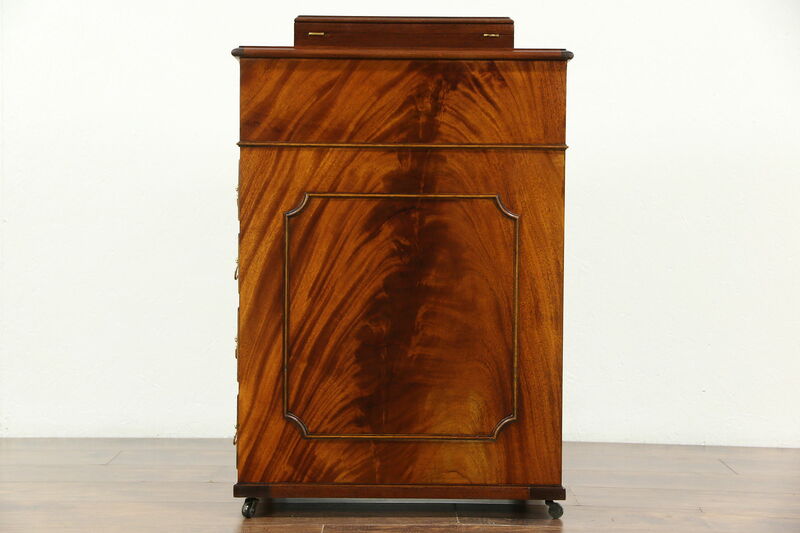 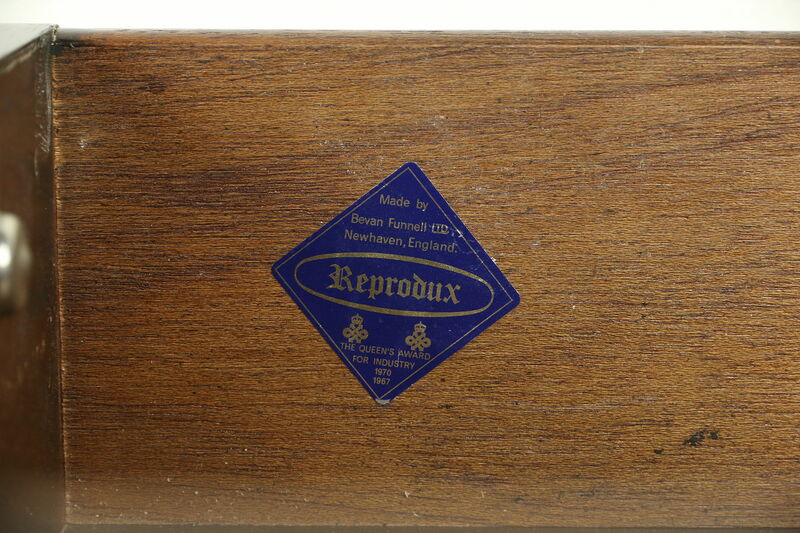 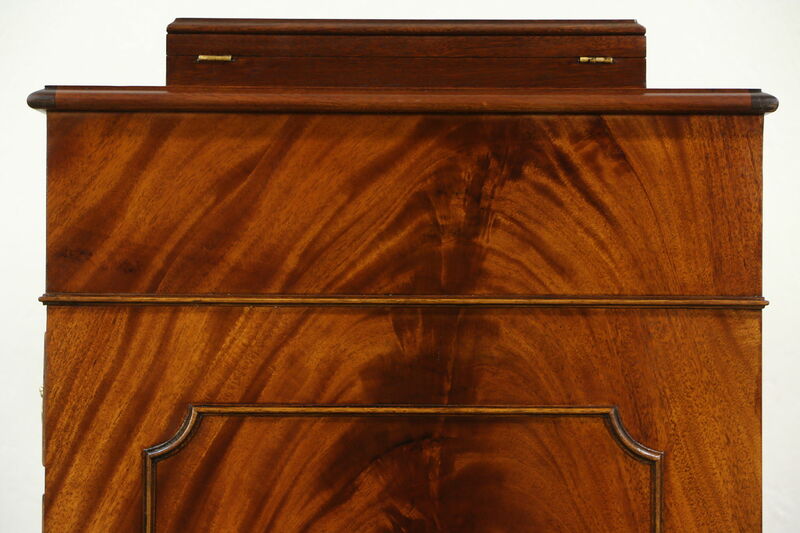 The restored finish is in excellent condition on matched flame grain mahogany. 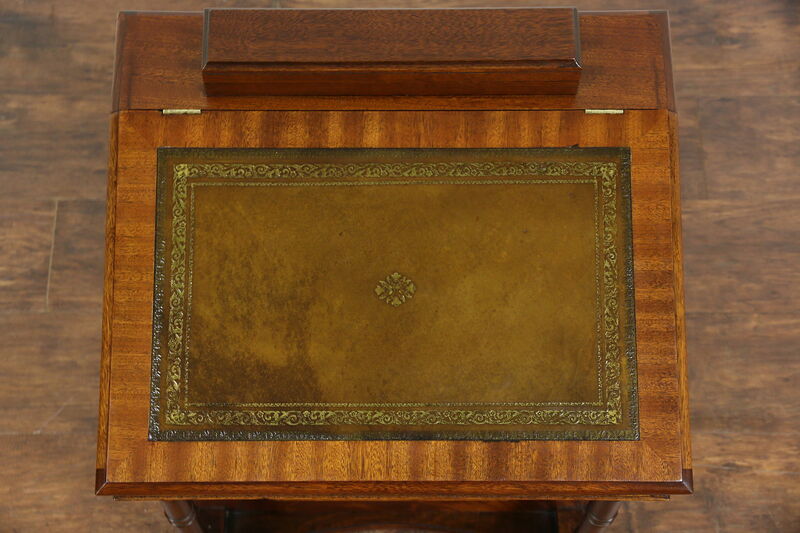 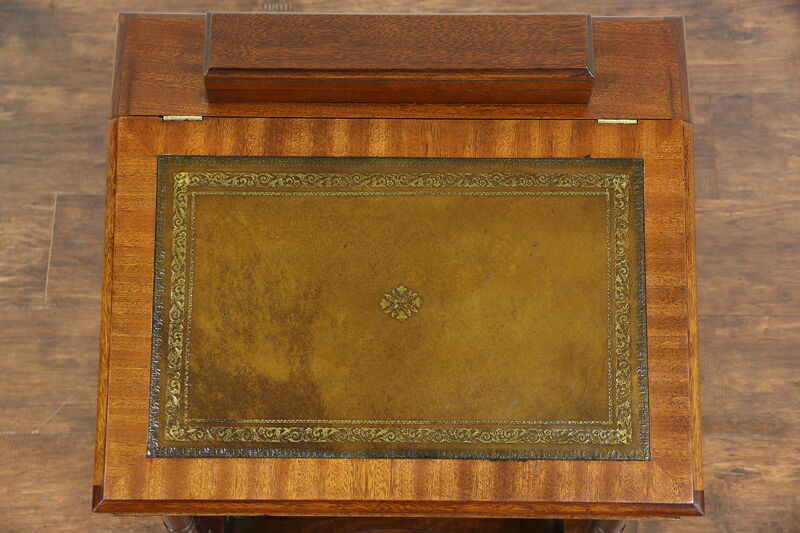 The lift lid desktop with mottled gold tooled leather covers a storage compartment. 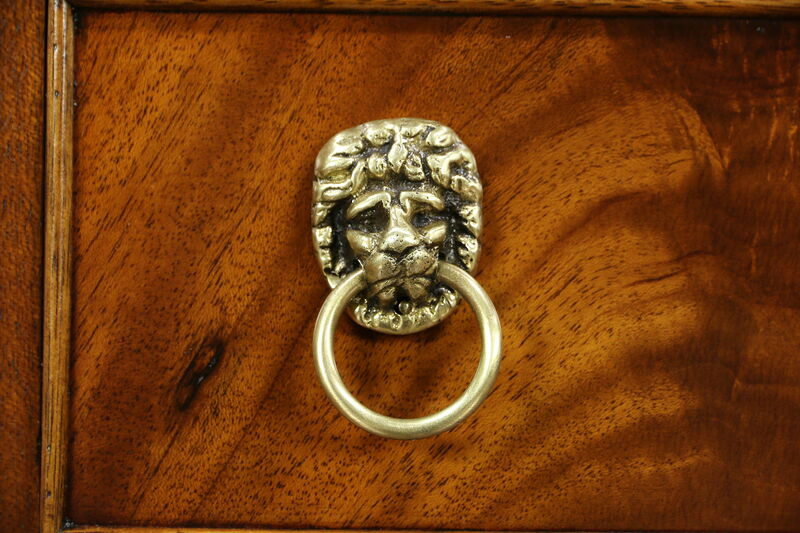 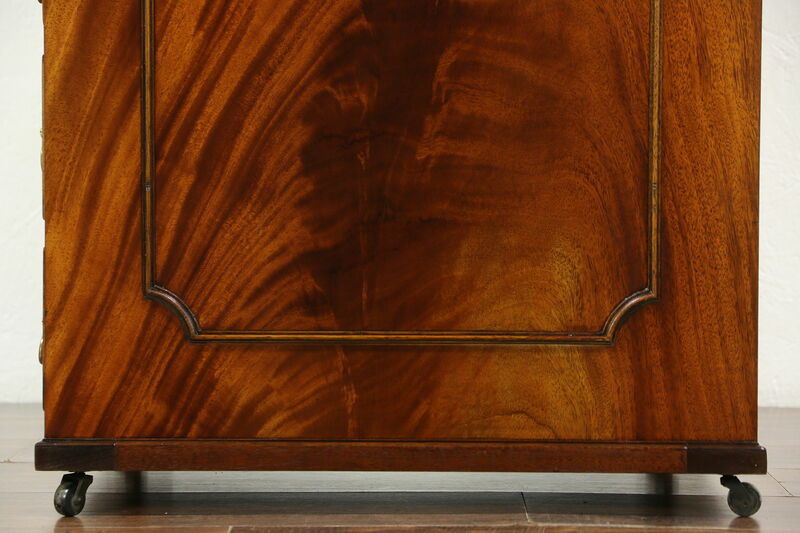 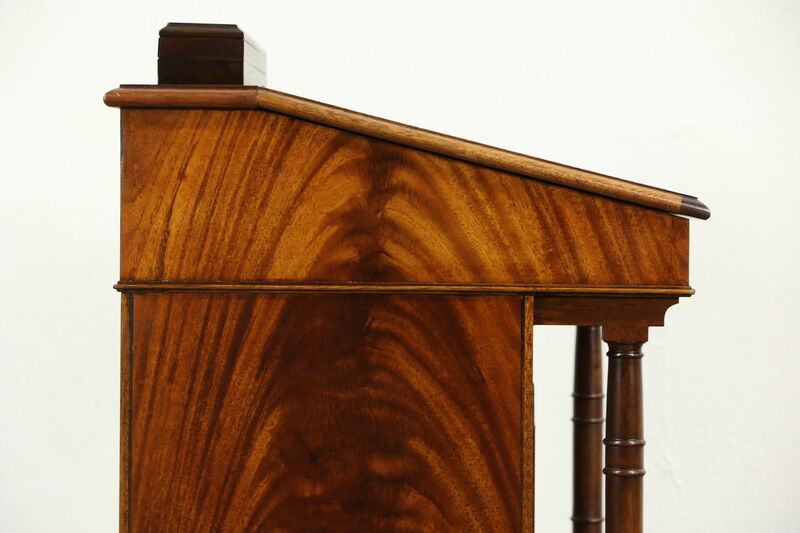 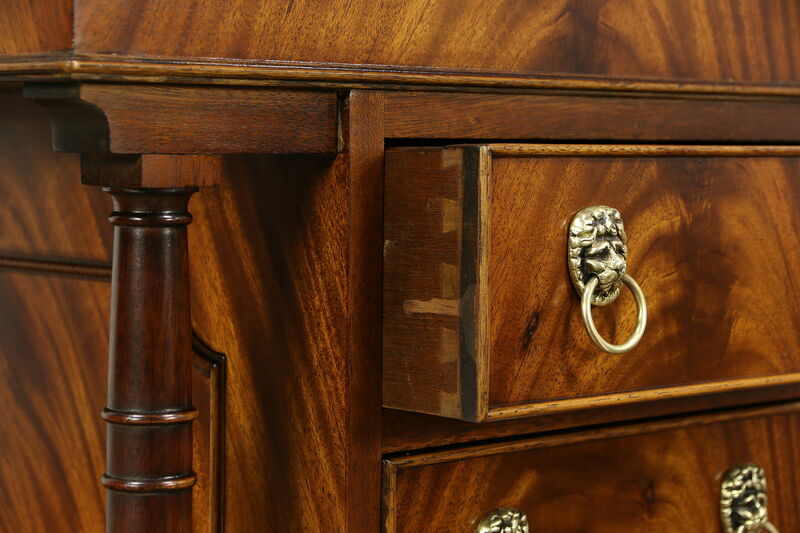 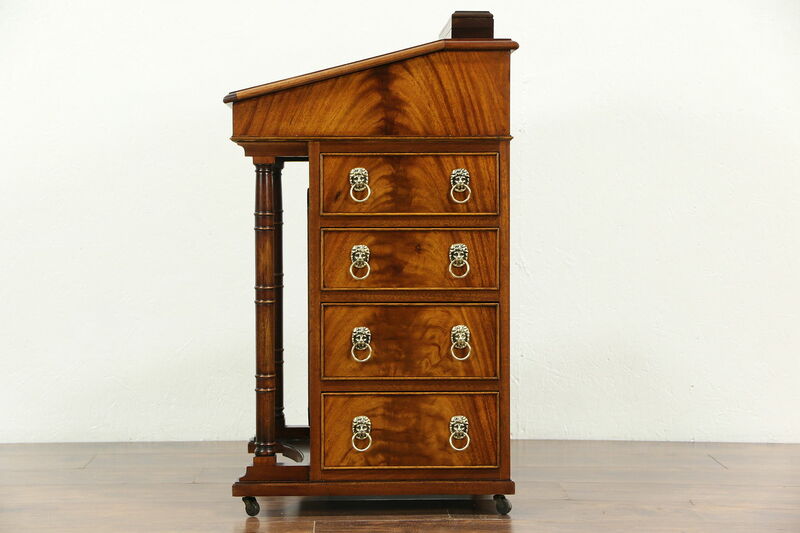 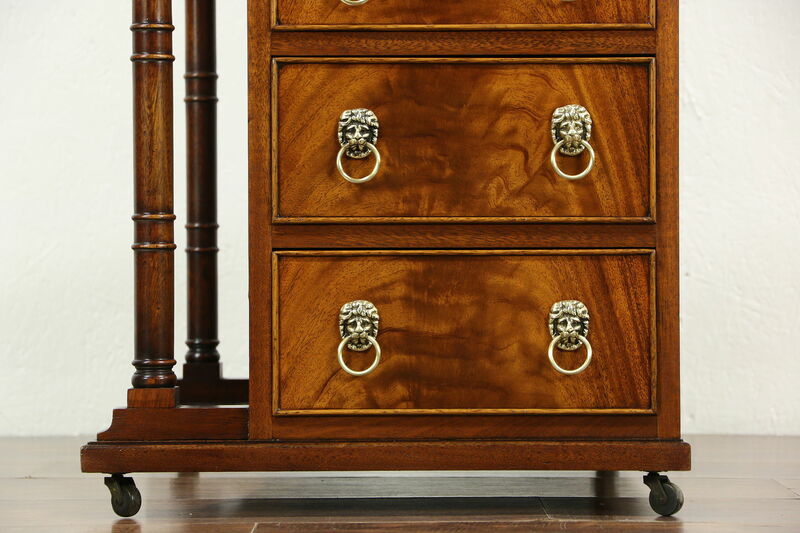 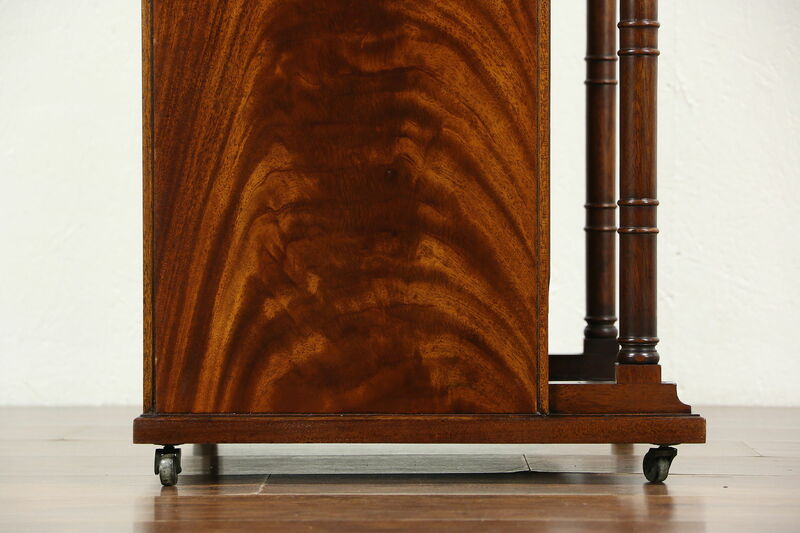 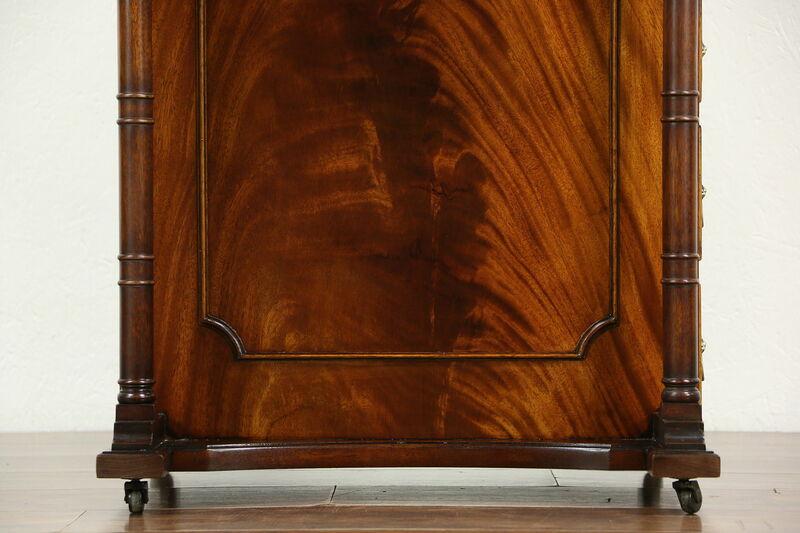 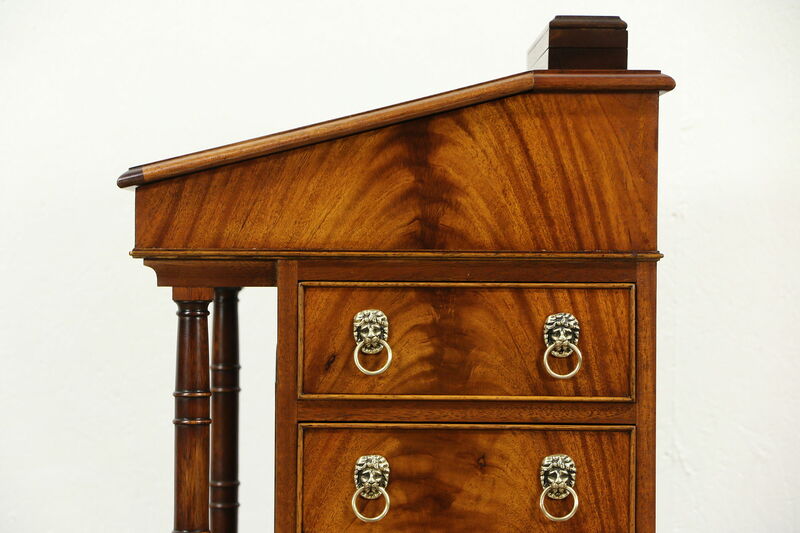 Drawers have original lion head pulls and dovetailed joints on this vintage furniture. 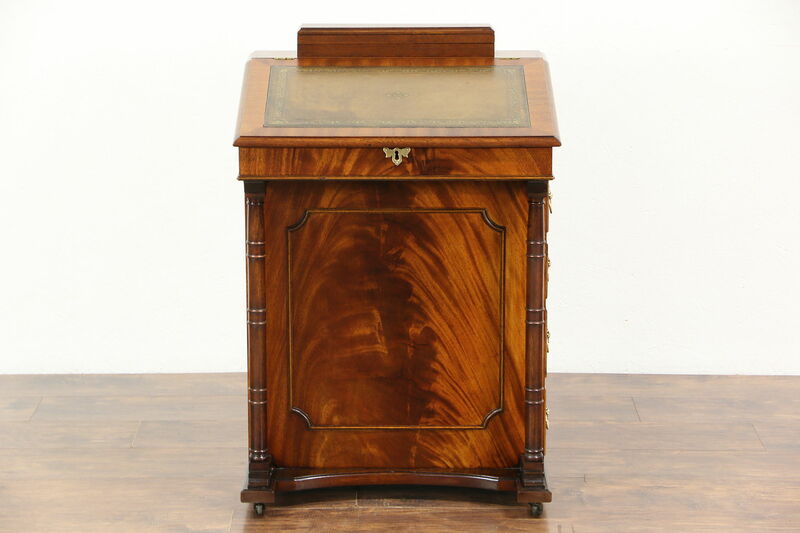 There is a covered pen holder on top. 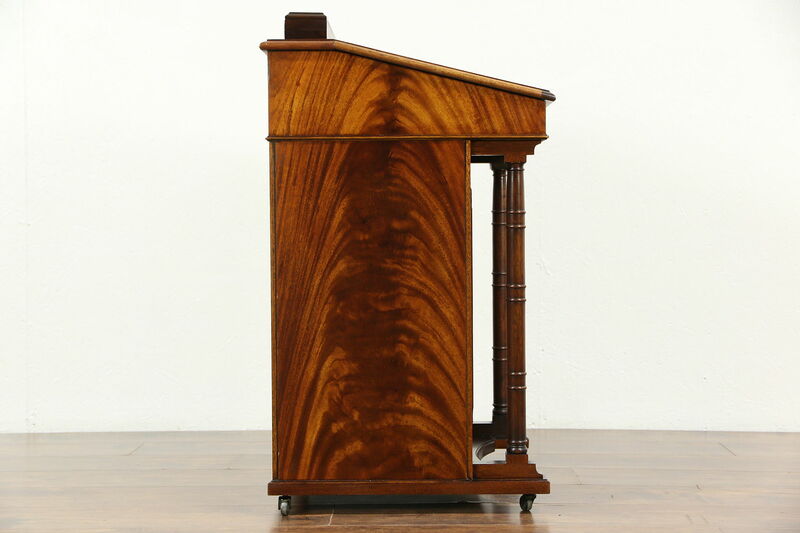 Measurements are 23" wide, 20" deep and 33" tall, the desktop slopes up from 28" high at the front.